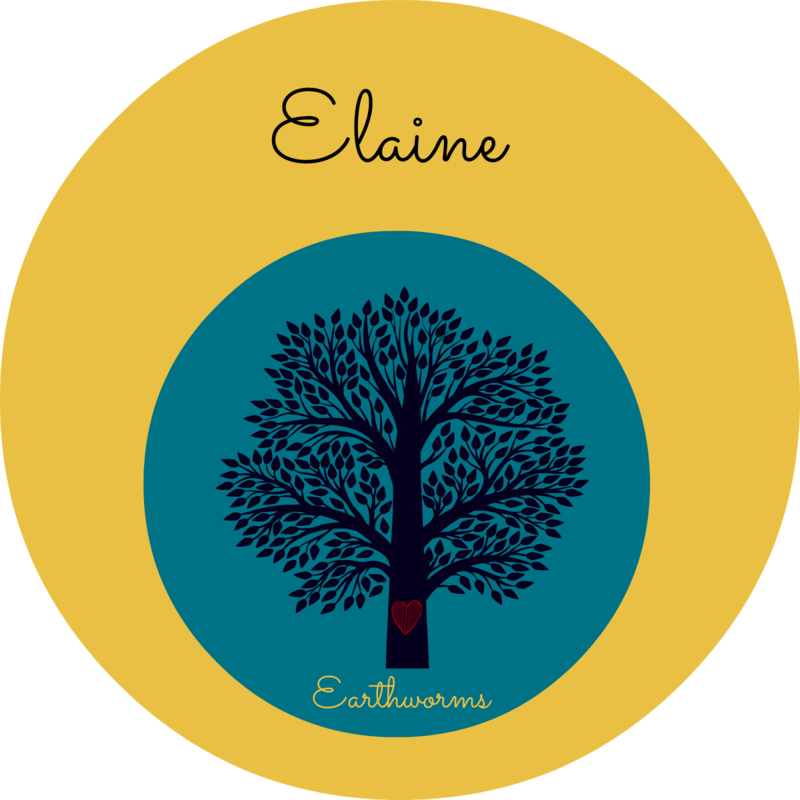 Earthworms and Marmalade: Raised Beds from Bare Bones and a First Time Tomato Grower's Mistake! I had 3 old metal troughs to begin with and I placed them on cinder blocks. 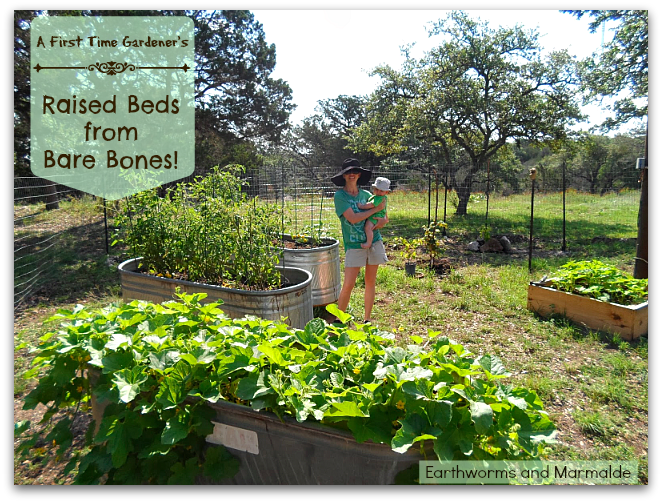 I built my gardens in troughs because I do not have soil in the hill country. Our ground is all limestone rock, so build raised beds & bring soil in. 3/4 of the troughs were filled with 'garden' soil mix (NOT TOP SOIL) from a local landscape supplier & 1/4 compost at 6" deep on top of the garden soil mix. Top soil can carry weeds, diseases, and unwanted pests. I also added mulch to the top layer using cedar & hardwood mulch at about 2 inches depth after I planted my transplants. I found scrap lumber to build raised bed veggie boxes. I recruited my husband to help build them! I planted indeterminate tomatoes in 2 of these troughs! WOW! How funny to look back now and see how that was such a brain fart! I had never grown tomatoes before and didn't realize the INDETERMINATE tomatoes meant they were going to get 6-10 feet TALL! It was hard to manage but in return I had a whole continuous season of heirloom tomatoes! I had problems with birds drilling holes in my tomatoes and lots of tomato worms! They tasted WONDERFUL and sweet! I had a drip irrigation on all my tomato plants so the foliage never got wet unless it rained. If I let it get too dry for a period of days or if it rained a few days in a row these tomatoes would crack a lot. I planted marigolds all around my tomatoes. I had a lot of tomato horn worms (caterpillars) and I would not spray, I would just pick them off by hand and place them in a feeding dish on my bird feeder for the wild birds. These tasted very sweet, and I would eat them with fresh mozzarella. The yield was a little smaller than I thought. Heirlooms will have a smaller yield compared to industrial varieties. One of the many harvests I brought in the house. I also planted Japanese cucumbers which did really well in the trough. I choose Japanese cucumbers because they say they have less seed or smaller seed. I bought all transplants that year. My Cucumber Plants - I had planted two hills of three plants per hill in this one four-foot trough. I had A LOT of bees working the cucumber flowers! It was humming so loud in the mornings! I had never planted cucumbers before & I let these get too big before picking. Cucumbers are tasteless and more dry/fibrous if left too long. I started with a few 3' X 3' boxes and I had planted Gourds & loofah sponges in the long 18' X 3' wood box. I had never planted gourds & loofah sponges before and I sure learned a lot from doing so. I have come to realize you should not plants gourds in a veggie gardens and especially near other squashes. It greatly hindered my pumpkin crop. I had an outbreak of squash beetles. I now know to grow gourds far away from the garden as I have been told they can be very invasive, which you will see the aggressive vines as the photos progress below. The gourd & loofah sponge flowers are white & they open in the evening. They stink like rotten dung but attract many flies and sphinx moths. I always loved cooking with real whole foods, wanted a deeper connection to where our food came from & learned how rewarding a garden can be - not just through the seasonal harvests but how it influences your life in all aspects of your mind, heart & spiritual being - it brings our family closer together & nurtures our soul through therapeutic adventures. It look so pretty i wish i had more room to grow veggies. That's my little sis! She did so good for a first timer!! Oh my goodness, your garden beds and the veggies that flourished! Just beautiful, all around! I'm inspired. She's a natural! We're going to have a watermelon growing contest this summer with our cousin. It should be A LOT of fun!! I love seeing what you did last year, and the changes you are looking to make for this year. I'm hoping to have my first garden this year... so we'll see! You can more explore your gardening idea! that's give such a excellent thoughts to visitors who can inspire and ready to work like as you .... thanks for valuable post.